You have spent months looking through others peoples’ closets and laundry rooms; preparing fantasy meals in various kitchens; telepathically moving your recliner around countless dens searching for the perfect football view, sipping makebelieve beverages while watching imaginary sunsets on various decks, and you have finally discovered your dream home! The contract is signed and now you only have the agonizing period between decision and closing to contemplate all the things that can go wrong. Don’t stress. Call Alabama House Whisperer for a comprehensive Standard Home Inspection of your dream house! Using HomeGauge Home Inspection report software, we will thoroughly inspect the property and give you a concise inspection report, including color photographs, documenting the condition of the property at the time of the inspection. 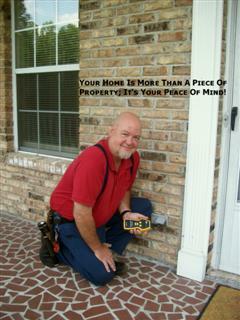 All Alabama House Whisperer Standard Home Inspectionsinclude a 90 day limited warranty. The report, including a summary of all deficiencies, along with attachments that provide additional information on the more important issues, will be available for viewing, forwarding and printing by you and your agent (if you consent) from the web site usually the same day! Alabama House Whisperer realizes how important and timely this information is, and even in busy times guarantees the report within 24 hours. Not computer savvy? No problem. More traditional forms of delivery are available as well. Questions? Contact us we answer the phone 7 days a week! Alabama House Whisperer is licensed by the State of Alabama, and has performed over 6000 Home Inspections in the Birmingham Metro area since 2001. Mike is a proud member of ASHI-American Society of Home Inspectors; an affiliate member of the Birmingham Area Board of Realtors and listed as an Accredited Member of the Better Business Bureau. 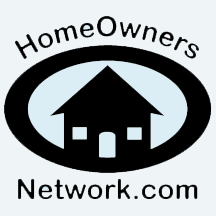 Free Membership to the Home Owners Network (HON) and free ADT Alarm with every standard inspection!